6'1" 310 lb. (1.86m 140 kg) Denis Cyplenkov was born in Ukraine in 1982, where he attended various sports clubs during his childhood and teenage years. He trained in kettlebell lifting for a few years and had great results in a number of competitive events, before becoming one of the world’s best arm wrestlers. 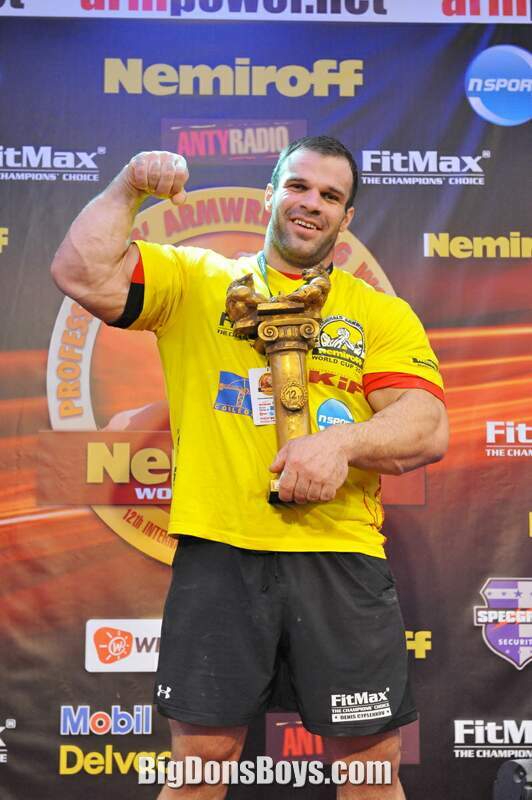 He won the Nemiroff World Cup in 2010 and 2011 and holds several Russian Arm Wrestling Champion titles. 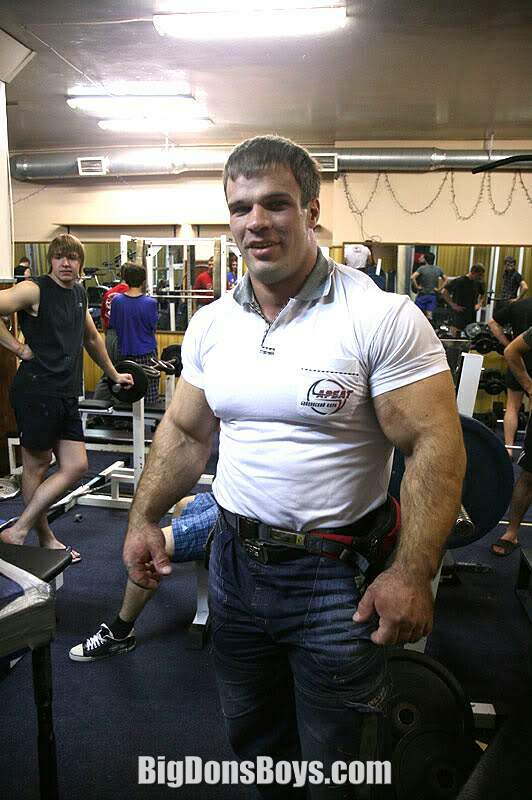 On his website, Cyplenkov claims he also holds records for the biggest biceps in Russia (64 cm in circumference) and the strongest man in Russia. He is known for his absolutely gigantic hands. 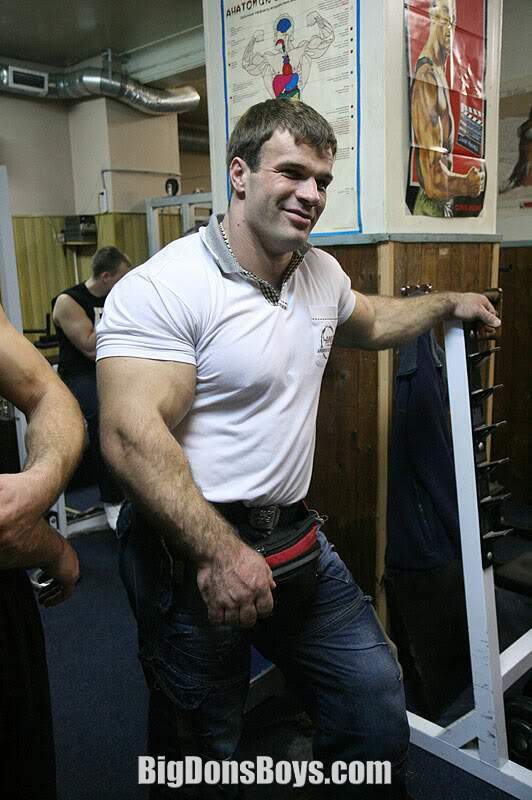 Even his thumb is thickly muscled and his 20+ inch forearms are larger than most bodybuilder's biceps. And his biceps are, of course, even bigger than his forearms. His wrist alone is almost ten inches around. His chest is 57" but his waist is only 40 inches. He can bench press 640 lbs. (290kg) and squat 705 lbs. (320kg). And he is so beautifully juiced! 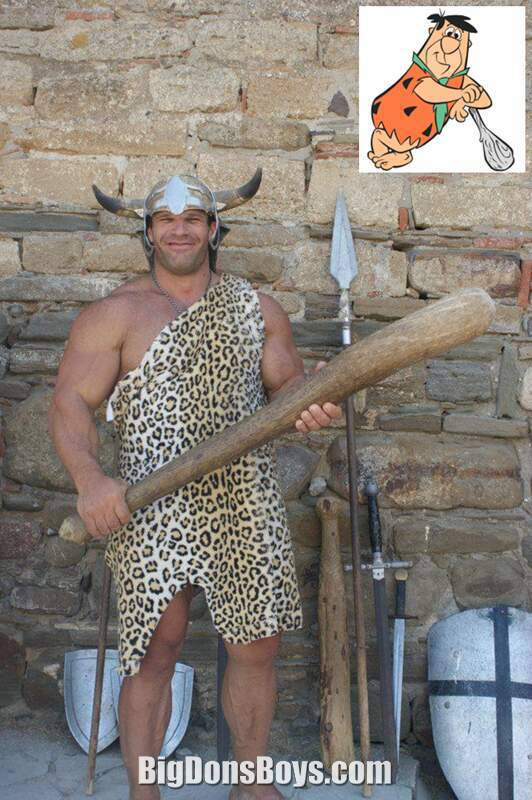 He has a supplement sponsor, Trec Nutrition. Beyond this not much is known about him, in part because I don't speak Russian and can't read his website. But, let's face it, the photos are what we all really love. 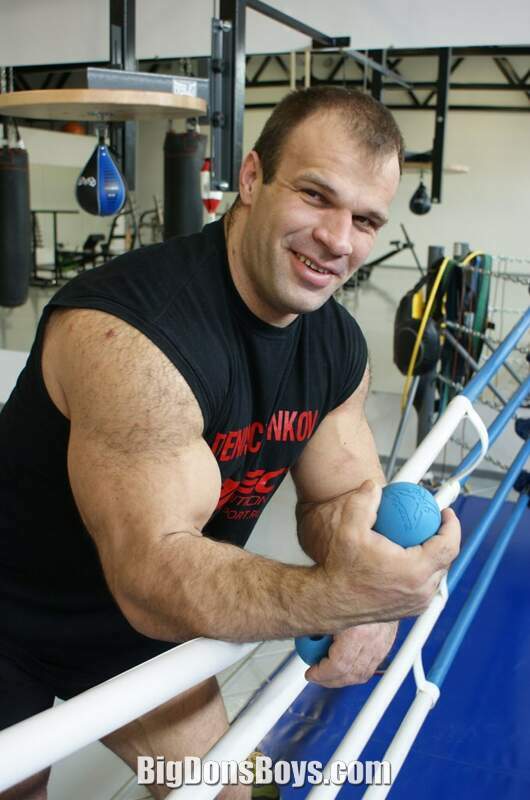 World champion strongman and arm wrestler Denis Cyplenkov goes against Andrey Pushkar. I don't know if much arm wrestling is done shirtless but I'm glad Andrey removed his. He was no doubt intimidated to be going up against captain gigantic. Every bit of psych warfare advantage helps when you are arm wrestling. Andrey is even taller than Denis as he is 6'3" (1.92M) and Denis is only 6'1". 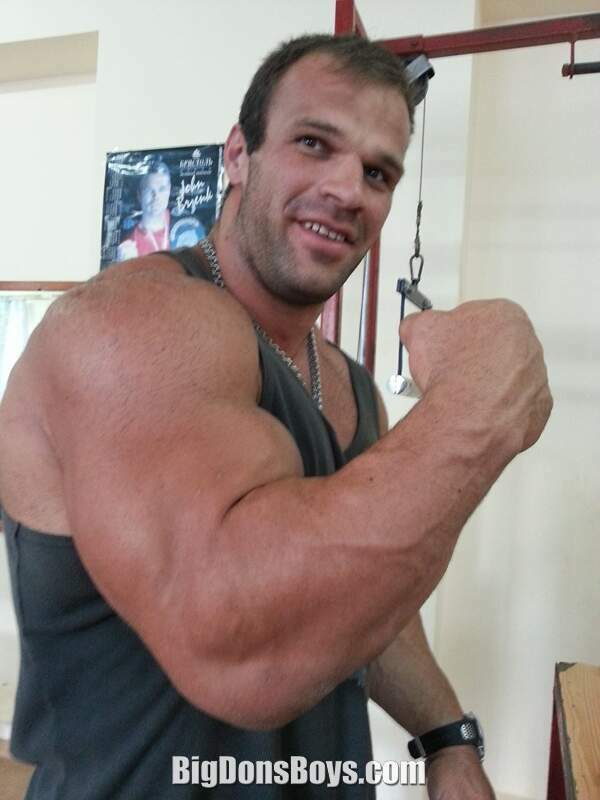 A great looking bodybuilder/strongman in his own right, Andrey needs a gallery on my website soon! He is a multiple WAF world champion and a multiple EAF European champion, whatever that means.